Uber has announced a new safety feature that links to its recently implemented Family Profiles program. 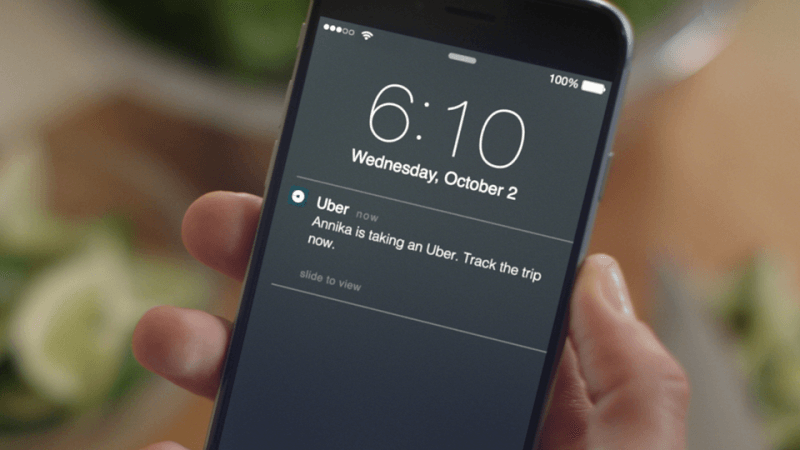 The Trip Tracker update will automatically let family members and other loved ones follow each others’ Uber trips in real-time. Family Profiles, which Uber announced in March, allows users to group up to 10 family members – or friends – onto one account so they can foot the bill for their rides. The new feature will provide details of each person’s trip to whoever is in charge of the Family Profile with a notification and the option to view a live map showing the vehicle’s route. The ability to share real-time maps of Uber journeys has been around for a while, thanks to the ‘Share my ETA’ feature, but this requires users to select which people they want to receive the information. Trip Tracker makes the whole process a lot simpler by automatically sending out a notification and tracking map to the person paying for the ride. The new feature is intended for situations such as when parents use Uber to send their child to school and want to monitor their progress, or making sure an elderly relative gets home okay. Following an initial launch in a handful of markets, including Atlanta, Dallas, and Phoenix, Family Profiles are now available in every market where Uber operates. According to TechCrunch, they are used most frequently in the US, Brazil, Mexico, Indonesia, and Columbia. The feature is popular in Latin America, where most households only have one credit card, and the city of Los Angeles has the Family Profile with the most people on it.